A land survey is performed for the purpose of locating, describing, monumenting, and mapping boundaries of a parcel of land. It may also include mapping topographical features and other improvements to the parcel of land. What are the different kinds of surveys? There are many types of surveys, such as Boundary, ALTA/NSPS Land Title, Cadastral, Construction, Control, Elevation/Floodplain, Geodetic, GIS, Hydrographic, Subdivision, Volumetric/Quantity, As-Built/Record, Location, Route, and Loan/Physical Surveys. These surveys can be used to develop property, construct gas lines, or purchase a home. When do I need a specialized survey? Specialized surveys are required when special circumstance arise, such as a lender requires an ALTA/NSPS Land Title Survey or a Loan Survey. If you decide to develop a piece of property, it may require a Topographic, Wetland, Elevation/Floodplain, or Subdivision Survey. Why should I have my property surveyed? Property surveys are crucial tools for protecting your investment. Without an ALTA (American Land Title Association) or Boundary Survey, you have no recourse at a later date if it is found that your fences encroach on a neighbor’s land or that there are easements for a utility company (a utility easement is when an electric, cable, or water company has access rights to your property to perform maintenance and repair). Most problems arise when improvements are made to the property such as fences, storage sheds, decks, driveways, and building additions that encroach into the setback area or onto a neighbor’s property. An ALTA or Boundary Survey would determine the dimensions of the lot, and locations of the easement and building setbacks. Most importantly, the survey will show the relationship of the improvements (house, garage, driveway, etc.) to the property lines and easements and if any of these improvements encroach on the neighbor’s property. 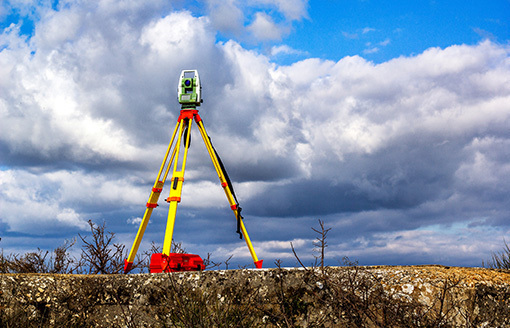 What are the benefits of working with a Professional Land Surveyor? A Professional Land Surveyor can give his professional opinion on questions that property owners, title companies, lending institutions or others may have concerning boundary lines, encroachments, or other lines of occupation/possession.